Jet2 check in, boarding pass, seating and luggage F.A.Q'S. Online check-in FAQ's Jet2 correct as of the 14/11/13 information has been provided for your guidance only and was correct at the time of writing. 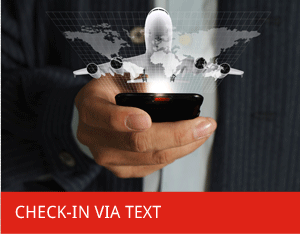 How do i check-in online with Jet2 and where can i get help to check-in? With Jet2 you can check-in from 28 days up to 5 hours prior to your scheduled Jet2 flight departure time. Our check-in service starts from only £3.99pp one way. Alternatively you can check-in online via the Jet2 website direct . I am travelling for more than 28 days and flying with Jet2. How do i check in for my return flight? Simple! The solution is to use Check-in pal. 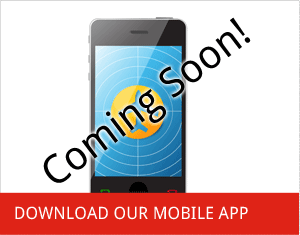 Tell us your future travel dates via our website or by text before you travel or whilst on the go!. We will store your future travel dates ensuring you are checked in for your return Jet2 flight. We send you your travel documents, boarding pass via your preferred delivery method. Select from Text message, post uk-international, fax uk- international, email, Airport collection. We also offer an emergency check-in service, covering out of hours, ensuring a call back is made within minutes. Providing you with your boarding pass quickly. Our check-in service starts from only £3.99 pp one way. When can I check in online with Jet2? I can't print my boarding pass, what can I do? At check-in pal we can check you in using our check- in service (please see above). 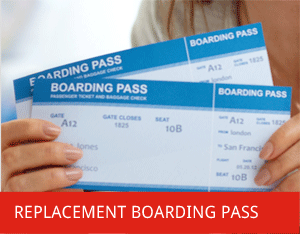 We also offer a re-issue boarding pass service from only £2.99.pp per boarding pass. Our fee compares very well with Jet2's re-issue fee as they currently charge £17.50 pp per boarding pass via their contact centre or at the Airport.So whether you are overseas or in the U.K we have delivery options to get your travel documents to you fast. To view our options please see above. Can I make changes to my Jet2 booking once I have made the booking? You can make a date, Name, time change to your booking if availability is available at the time of change subject to their fees detailed below. Be aware that you can not make changes once you have checked in online already. Changes can be made up to 5 hours prior to your scheduled Jet 2 flight departure time. 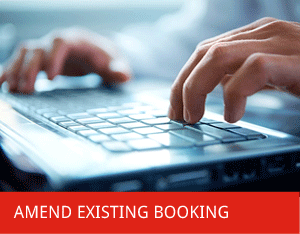 Check-in pal have a booking amendments service please see below. How do I change the date,time or name of my Jet2 booking? Check-in pal has a booking amendment service. Simply request a call backand our agents will do the rest. These are just a few of our changes that we offer. Our amendment fees start from as little as £1.99 pp one way + Airline fees. We also provide you with all of your relevant travel boarding cards to reflect your changes. How much does a change to my Jet2 booking cost? Currently Jet2 charges an admin fee of £35/45eur per person per one way flight to make a Name, date or timing change. In addition to this fee you will be required to pay the price difference if there is an increase in your fare, taxes, fees and charges at the time you are making the change. Check-in pal can provide you with a check-in service and or a booking amendments service, (see above) Our service saves you time and money by ensuring your amendments are made correctly avoiding you facing costly Airline penalties at the Airport.We even take care of your new travel/boarding cards for you and send them via our sending options globally. I have already checked in online, can I add extras to my existing booking? Yes, this can be done via manage my booking on Jet2 website direct. Extras include adding in-flight entertainment and meals which can be added up to 96 hours prior to your scheduled Jet2 flight departure time. How much can my hold,checked in baggage weigh with Jet2? Check-in pal can deal with your baggage requirements for you by adding baggage to your booking on your behalf.We offer a baggage service at a small fee of only £3.99 per bag one way + Airline fee or £1.99 per bag one way when combined with our check in service. We even send you your new travel documents to reflect all new changes. How much does it cost to add hold/checked in baggage with Jet2? Hold baggage is currently priced from £8 online. (discounted rate) with Jet2. 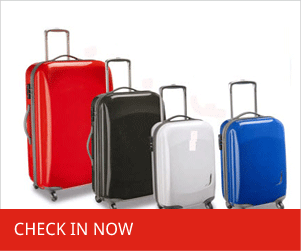 Check-in pal offer a baggage service at a fee of only £3.99 + Airline fee, per bag one way . This small arrangement fee esures that our experts deal with your baggage requirements and amend your booking on your behalf. We can even send you your new boarding pass to reflect your changes with your Airline. Check-in pals total cost per bag one way including our fee is from £11.99 per bag one way, compared to that of £45 with Jet2 check-in desk or at the Airport or via their call centre. Hold baggage not pre booked online and checked in direct via Jet2 call centre check-in desk is charged at £45 per item plus any excess charges where applicable. How much is sports equipment such as golf clubs and skiing equipment to take on a Jet2 flight? Check-in pal can arrange your sporting baggage requirements on your behalf for a small fee of only £3.99 per bag per flight plus Jet2 fee of £30. *For larger items contact Jet2 directly. How much is excess baggage with Jet2? At this price be sure to check your baggage weight before arriving at the Airport as this is charged each way. If in doubt, simply get Check-in pal to add a bag for you for as little of £11.99 (includes our fee of £3.99 per bag each way) It's the safest option and provides you with a huge additional 22kg. How many pieces of hand luggage can I take onboard a Jet2 flight and how much can this weigh? Any baggage outside these dimensions will be treated as hold baggage and subject to a £45 fee. Dont chance it! Simply get check-in pal to add a bag to your booking from £11.99 ( includes our fee) per bag one way. This provides you with an additional 22 kg weight allowance. I need to take some infant equipment such as a pushchair/buggy, car seat whith Jet2 what is Jet 2 policy? Infant equipment can weigh up to a maximum of 10kg whether individual or combined with another infant item. This 10kg weight can be carried free of charge any excess weight will be subject to the excess baggage charge which is currently £12 per kg. There must be an infant on the booking. How can I ensure that all my travelling party will be sat together onboard my Jet2 flight? The only way is to pre select your seating online and by paying the appropriate Jet2 fee. Prices vary dependant on where you choose to sit on the Aircraft, route and are subject to availability. Check in pal can arrange your seating plan for you for a small fee of only £0.99 pp one way + Jet2 fee. Remember that Jet2 operate a first come-first served seating policy. If you haven't pre-booked, now is the time or ensure you arrive at the Airport in good time to avoid disappointment. Can i book extra leg room on Jet2 flights? Yes, generally located towards the front of the aircraft and alongside wing exits. You are able to book online for a discounted rate. Requests at check in desks are significantly more expensive and do vary depending on your flight. Did you know that Check-in pal can arrange your designated or extra leg room seating arrangements for you from only £0.99p per person one way + Jet2 Airline fee. Can a seat change be done once a i have already made my booking? Yes, relevant seat charges with Jet2 will apply. However if you have already checked in online, sadly no further seat changes can be made. For assistance on all of your seating arrangements request a call back and Check-in pal can assist you. We provide a seating arrangement service and even provide you with all the relevant boarding passes/cards you require from as little as £0.99p per person one way + Jet2 appropriate fee.